Drug store giant CVS Health (NYSE: CVS) will be rolling out a new telemedicine service in partnership with virtual care company Teladoc in the coming months. The telemedicine service will be available at all hours every day and will be used for the diagnosis of general wellness matters and minor illnesses. The service will initially be rolled out in nine states and the District of Columbia, with plans for the service to be available nationwide by the end of the year. The new service will be part of the CVS MinuteClinic offering and will be accessed through the CVS Pharmacy app. The service is expected to be similar to the virtual appointments the company already offers, called MinuteClinic Video Visits. The company has reportedly been exploring this partnership with Teladoc since 2015. 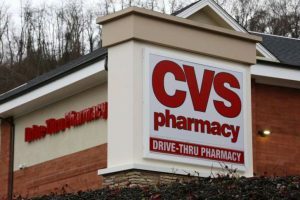 CVS will use “a board-certified health care provider licensed in their state” to provide the service to users, who will complete a questionnaire with details of their medical history before proceeding with the video-enabled visit. The company says that the service will cost $59, paid by credit card or debit card. An option to have the visit covered by insurance will be available in the coming months. CVS Health also reported results for the second quarter of its fiscal year that topped Wall Street’s expectations. For the quarter ended June 30, CVS reported a net loss of $2.56 billion, or $2.52 per share, compared with a profit of $1.10 billion, or $1.07 per share, for the same quarter last year. On an adjusted basis, the company earned $1.72 billion, or $1.69 per share, beating analysts’ estimates of $1.61 per share. Revenue rose to $46.7 billion, up 2.2 percent from the same quarter a year ago.